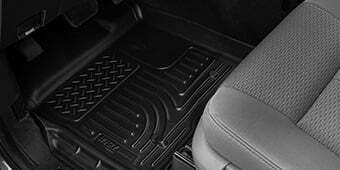 Please select options for Weathertech No Drill Front Mud Flaps - Black (04-14 F-150, Excluding Raptor) at the top of this page. All Weather Protection. 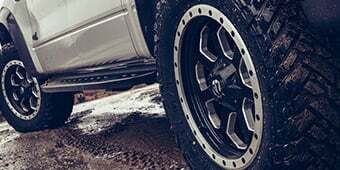 Unlike standard mud flaps, these WeatherTech No Drill Front MudFlaps are custom design specifically for your F-150 to protect your paint surface from mud, slush and other debris making them perfect for All-Weather use. Durable Construction. 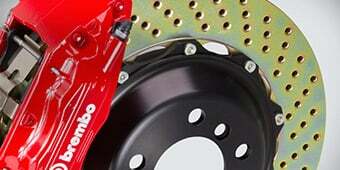 These front mud flaps feature a rugged construction made to take on anything you will throw at your truck. 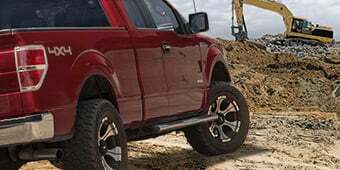 The mud flaps are contour specifically to your F-150 for a perfect fit and is molded from strong thermoplastic resin material providing an unquestionable protection. No Drill Installation. Best of all, these WeatherTech MudFlaps require no drilling to your truck's surface as they will reuse your factory holes and hardware. 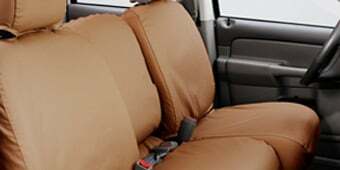 They also feature Weathertech's patented "QuickTurn" hardened stainless steel fastening system for a quick and painless installation process. Application. This pair of Black WeatherTech No Drill Front MudFlaps are specifically designed to fit the 2004 to 2014 F-150s. 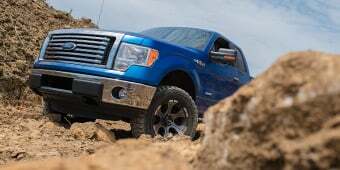 They will not fit on the F-150 Raptor Model. Technical Note. The Mud Flaps will not fit properly with Running Boards that is within 2 inches of the front wheel well. 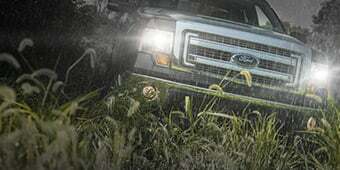 Does not fit on the SVT Raptor models. 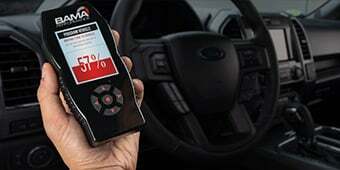 Hello there, I have a 2011 f150, supercrew, and I need to install aftermarket flares, 1.5 to 2 inch size. It says it fits flares, does it mean the factory ones, or aftermarket as well? 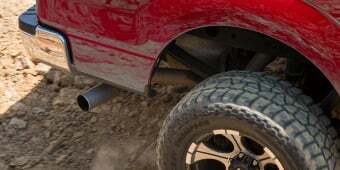 The Weathertech No Drill Front Mud Flaps will not work with aftermarket fender flares. THEY WERE SIMPLE TO INSTALL, LOOK GOOD, AND PRICED GEAT. THE FRONT MUDGUARD DOESN'T DEFLECT ALL OF THE MUD, BUT MOST OF IT. These mud flaps fit like they came in the truck right from the factory and were very easy to install. I live in New England so these were a must have for the winter since my 2011 limited has retractable running boards. Highly recommended! great product,great fit,easy install. took longer to gather the tools than to install them. Not an easy install on rear flaps as shown in video. Paid someone to put on rears. Fitment was perfect, install was quick and painless. Super easy to install, took less than 20 minutes for all four. The fit to the body is very good. I had put others on the back about 6 months ago, found that I needed them on the front also. Found this kind in the American Muscle catalog. These where so much easier to install. I would rec a mend them before all on comers. 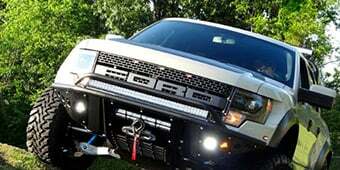 Easy to install and they look great on my F-150. Took about 5 minutes on each side to install. Great price with a great look. Well worth the money.